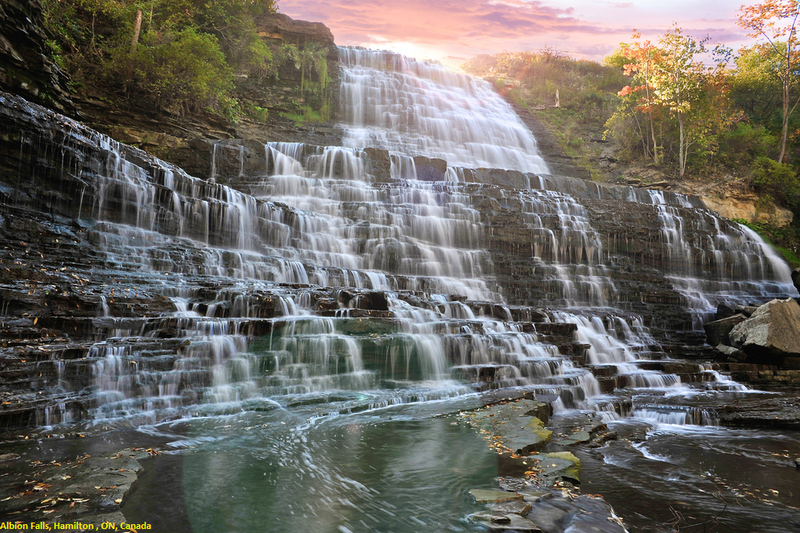 Albion Falls is a 19 m (62 ft) classical/cascade waterfall flowing down the Niagara Escarpment in Red Hill Valley, in Hamilton, Ontario, Canada. With cascade falls the downpour is staggered into a series of steps causing water to "cascade". The top of the falls are located on Mountain Brow Blvd. The lower-end of the falls can be found at the south-end of King's Forest Park in lower Hamilton by following the Red Hill Creek south towards the Niagara Escarpment.